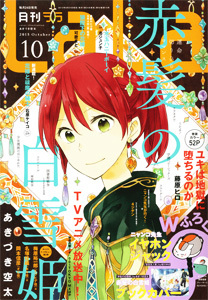 Update: “Barajou no Kisu” has just been added to JManga’s directory. Link Aya Shouto has written on her blog that she thinks her works could get licensed and published in English if all overseas scanlation stops. It is never my intention to harm the original author, so per Aya Shouto’s wishes, I will remove “Junketsu + Kareshi” from this blog. Continue reading Retiring "Junketsu + Kareshi"
Our friends at Turtle Paradise have just announced it and, now, so can we! Turtle Paradise will be continuing “Junketsu + Kareshi” from chapter 10 onward. Please head over their website for more details and leave them some messages of encouragement :). Turtle Paradise Continue reading Turtle Paradise will Continue "Junketsu + Kareshi"
UPDATE: WHEN THE NEW GROUP IS READY TO ANNOUNCE THEY’VE TAKEN OVER J＋K, WE’LL ANNOUNCE IT HERE TOO. ——————– We are dropping “Junketsu + Kareshi”. I’m basically the only person in the group working on that series and I’ve grown tired of the random and amateurish plot despite the pretty pictures. The beginning of my hatred of this series started at the beginning of chapter 7 when Kana asked “Why don’t we form a club! ?” What the ***!? I feel like this series was a bait and switch scam. It started out gritty and dark and Aki was a … Continue reading We are Dropping "Junketsu + Kareshi"
If we can get the last content farm to remove our projects, I’ll release a clean zip :). Well…that was ruined by a nasty commenter whose comment I chose not to publish. Apparently, some content farmers don’t get it. The irritating watermarking will continue. I’m tired of entitled people who think they deserve anything free or can exploit somebody’s elses hobby for profit. I mind it. I don’t understand why they simply can’t link to our posts or to our home page like Baka-Updates and One Manga. The only reason to upload individual pages is to farm the content to … Continue reading Making Progress!…Maybe??? Junketsu + Kareshi Chp 7 — Dude looks like a Lady! Here is “Junketsu + Kareshi” chapter 7. This is basically a heavily comedic bridge chapter to the next story arc. Links to “Junketsu + Kareshi” Chatper 7: (Zip) (PDF) — Retired Spoilers Ahead: My thoughts on the chapter– Kana is weird! She seems to willfully avoid her own sadness and the sadness of others. It’s not that I believe in dwelling on sadness, but she’s way too Pollyanna-like to stay sane. I eagerly await the break-down and Aki’s reaction to her breakdown (that is if Shouoto-sensei is brave enough to have Kana breakdown). In this chapter we are sorta … Continue reading Junketsu + Kareshi Chp 7 — Dude looks like a Lady!